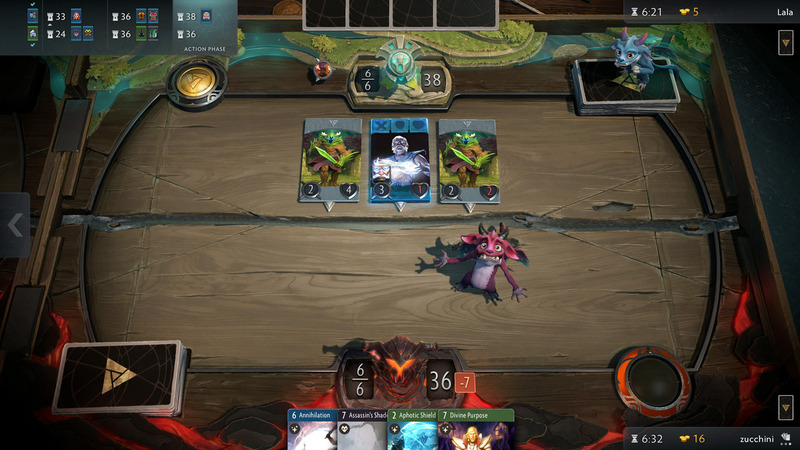 Here's everything you need to know about Artifact, the upcoming Dota 2 card game, including potential release dates, gameplay, price points, and rules. 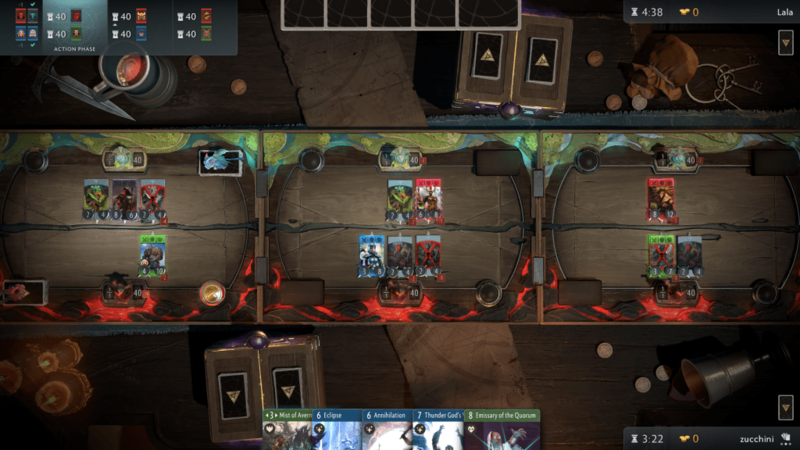 Artifact is Valve's brand new card game, combining elements from Dota 2 with strategy and tactics-focused card mechanics. It looks set to be a pretty big deal, offering slightly deeper gameplay than its main competitor Hearthstone, but what exactly is Artifact going to be like? Well, to give you a better idea, we've been busy pulling together all the info we know about Artifact so far. We'll take a look at the release date, the open beta, and more, to make sure you're prepared to jump in from the get-go. We'll make sure to keep this guide up to date with all the latest information about the game, right up until it releases in November. If you've got any questions, please feel free to put them down in the comments. As we mentioned at the top, we now know when Artifact will launch. It was recently announced that Artifact will launch November 28 on Steam. It'll be available on Windows, Linux and Mac. The iOS and Android releases for Artifact, on the other hand, aren't set to release until at least some time during 2019. But what about the price point of Artifact? When it eventually releases, the Dota 2 card game will have an up front price point, meaning it won't be free to play. After this initial cost to purchase the game however, you will have the option to buy in-game card packs with real world money. We now know that artefact will cost $19.99 at launch and will include 280 cards. As mentioned previously, players can purchase additional cards using real money. They will also be able to buy and sell cards through the Steam Community Marketplace. It turns out that Artifact actually plays a lot like Dota 2, in a way. The action takes place in three lanes, much like in Dota 2, and your complete Artifact deck features five Hero cards, which you can place across any of the three boards. The rest of your deck is made up of far weaker (and disposable) minion-type cards, that you can place anywhere on the board. The main way of winning a game of Artifact is by attacking your opponent's towers. Both players have three Towers with 40 health, with one Tower populating each lane, so you have one Tower in each lane. You'll win the game of Artifact if you can successfully destroy two of your opponent's Towers before they can do the same to you. But there's also a second way of winning a game of Artifact. Whenever a Tower is destroyed on the board, it's replaced by an Ancient, effectively a larger and more powerful Tower, but with 80 health points. If you, or your opponent, can destroy a single enemy Ancient, they'll instantly win the game. Just like in Dota 2, you have a Mana meter, which governs when you're able to cast spells and abilities with your cards, and your Mana goes up by one point after each round. But there's also the second currency of Gold, which you'll earn for every enemy Minion that you kill. You can then use this Gold in between rounds to purchase new weapons and armor items for your Hero cards on the board, as well as brand new cards to place onto the board. Cards that you've purchased with Gold don't cost any Mana to use. On top of all these rules for Artifact, there's also card colors to consider. There are four card colors in Artifact: black, red, green, and blue. You can't use spells of a certain color in a lane on the board, unless you have a Hero card of that same color in the same lane. Aside from this, the card colors denote the type of card-green cards usually focus on creeps and buffs, blue specializes in strong spells, red denotes strong Heroes that are weak to spells, and black focuses on single strong spells. 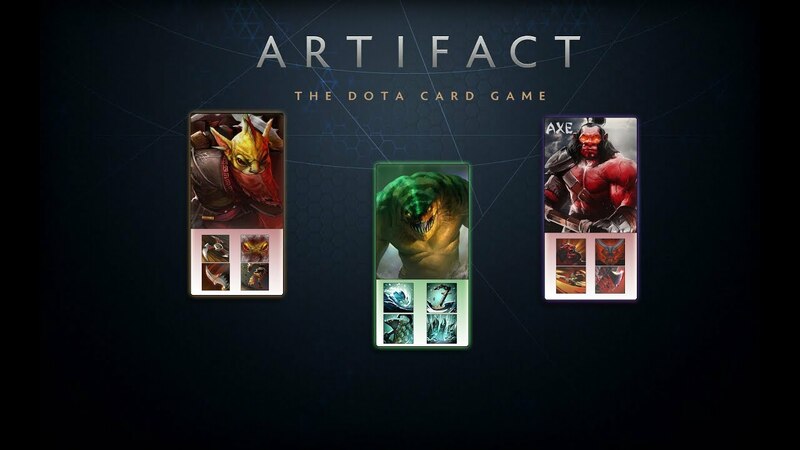 It was announced at The International Dota 2 event 2018 that Artifact will be getting a beta in October. This was later walked back by Valve, and the Artifact open beta will now launch later on. You'll be able to jump in on Nov 19, just 9 days before release. Everyone attending #TI8 will receive a copy of Artifact and beta access which will begin in October. The game keys at #PAXWest will also grant beta access. We know that Artifact will feature over 280 at launch, and that each deck will contain 40 cards. Five heroes will also feature, much like in Dota 2. There's also equipment, and three lanes to deal with, so it all looks pretty complicated to say the least. This is all the information we have right now surrounding the Dota 2 card game Artifact, but rest assured that if Valve release any new information for the game, you can be sure to read about it right here. To read our impressions of Artifact, from when we went hands-on at PAX West, head here.